Putting models together and painting them are not easy. Finishing them and making them look great takes skill. And skill is expensive. 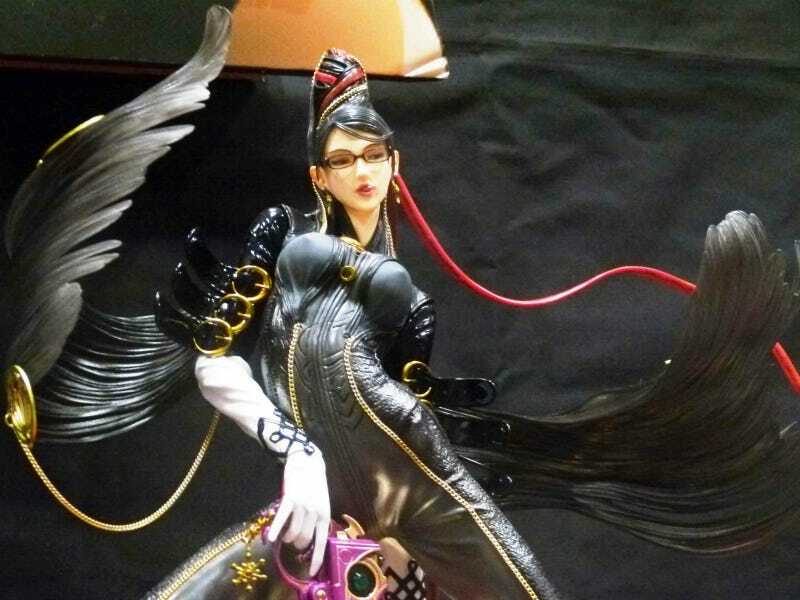 At this weekend's Wonder Festival, a collectible figurine showcase, in Chiba, Japan, Kyoto's "Mr. Big" offered completed garage kits of Bayonetta from the self-title action game Bayonetta and Ayane from the fight games Dead or Alive. Mr. Big deals in completed garage kits, and the Bayonetta one alone took two months to finish. The completed Bayonetta was priced at a cool ¥18,000 or US$1,820, while the Ayane was asking ¥15,000 or US$2,184. Both come with handsome base stands for the figures, and Bayonetta even has a pair of 1/1 scale glasses. Attention to detail like this is not cheap! In fact, it's very, very expensive.